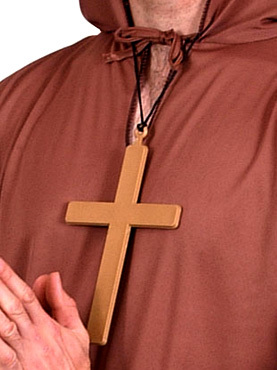 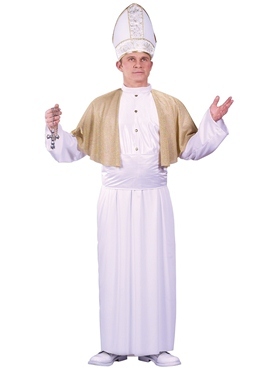 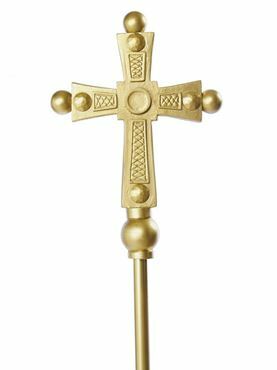 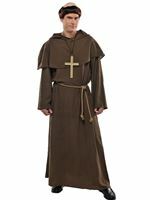 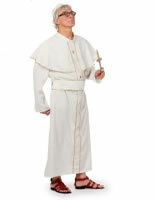 Our Adult Pontiff Pope Costume features a Long White Robe with Button Up Front and Gold Capelet. 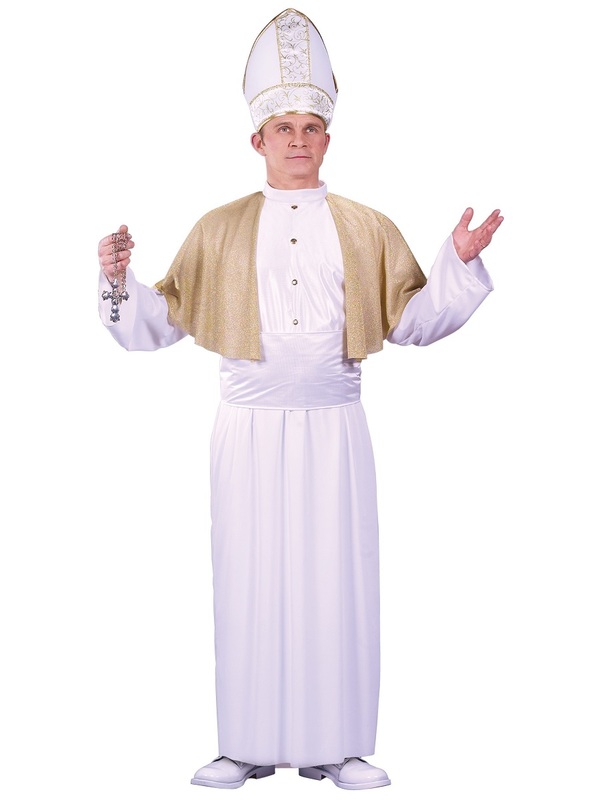 Also included is a Waist Sash and Miter Hat with Gold Pattern Detail. 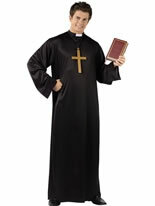 One Size 38" - 44" 36" - 40" 58"